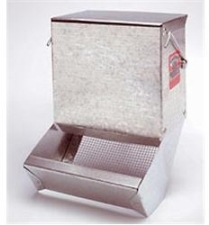 Metal bottom & lid, sifter. Independent wire hooks secure feeder to the hutch. Feeder with metal bottom, with lid.